Bluetooth audio has arrived for serious music listeners. 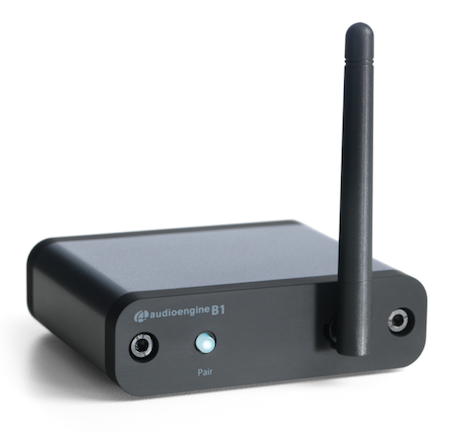 Connect Audioengine’s new B1 Bluetooth Music Receiver to your home stereo unit or other system and enjoy the best wireless music signal available. Use your iPhone, iPad, iPod touch, or Macintosh to stream audio to B1. Your music never sounded this good before B1. Setup and initial Bluetooth (or BT) connection, or pairing, is quick and effortless. B1 remembers up to six different source audio devices, and reconnects promptly to prior BT equipment. A written instruction guide is included. The physical B1 is attractive, stylish, and robust, plus straightforward to use. Audioengine products feature a minimalist approach to buttons and knobs, and B1 is the most minimalist of all. The company is so confident you will find B1 to have value greater than its $189 price that they encourage a no-hassle 30 day audition with refund available on units purchased from their online store. Study the tech specs, FAQs, and prior reviews that confirm our high opinion of this remarkable BT accessory that immediate became an integral component in my home stereo environment. Executive summary: Like music? Got $189? Get B1. 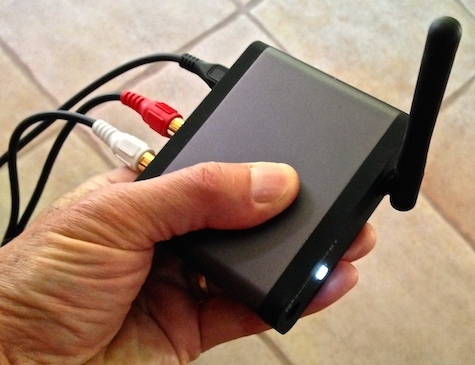 This outstanding audio device receives a rare perfect MyMac Review Rating of 10 out of 10. Bravo, Audioengine. Thanks for the review. It’s hard to find someone who’s tested the B1 since it’s such a new product. Since you used it with an iPhone/iPad. 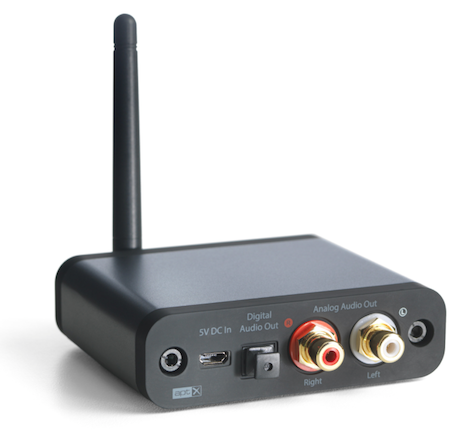 Since Apple does not support AptX, I was wondering if you can confirm if it streams AAC (instead of SBC) via A2DP to the B1. If so, do you know if the iPhone sends AAC encoded music, or does it decode and re-encode it to AAC before transmitting. The Apple docs aren’t very clear on this. Also, what is the max range you get before it breaks up. Thanks, Joe. B1 streams whatever source it receives natively, meaning whatever your iOS equipment is playing will be what B1 receives and transmits beautifully. Bluetooth range is clear up to 30′ or 10 meters, and then less consistent up to 45′ or 15 meters, depending upon line of sight versus walls and other physical obstacles. “Hey, John. This music sounds really good,” said Mrs. Nemo two minutes ago. “Are you doing something different?” Yes, I am! “The highest ‘native’ bitrate that can be transmitted through BT (using the aptX codec) is 16-bit lossless. Anything else, like 24-bit music from HDtracks.com, is downsampled to 16-bit.